It was a starry night in October, the moon was shining over the timeless Wrigley Field, home of the Chicago Cubs. It was a home playoff game versus the Florida Marlins, now known as the Miami Marlins. A lifelong Cubs fan, a middle-aged man named Steve Bartman, attended the playoff game. At the time of the incident, the Cubs had a 3-0 lead over the Marlins, and pitcher Mark Prior was pitching a 3-hit-shutout. The Cubs were 5 outs away from reaching their first World Series since 1945. A moonshot was sent to the left-center field corner wall, and Bartman and outfielder Moisés Aleu both went for the ball. Bartman ultimately interfered with the ball, causing Aleu to drop the ball, and the Marlins scored 8 unanswered runs and took the game. Bartman had to be escorted out of the stadium due to fans harassing him. 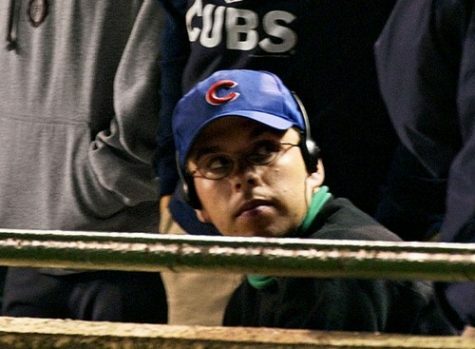 According to ESPN, Bartman has not been heard from since then, until the Chicago Cubs in 2016 made their historic championship run, and the Cubs personally delivered Steve Bartman a championship ring. The MLB postseason is one of the best sports events in history, full of suspense and unexpected events like the aforementioned, and this year’s might set an all-time high in spectators due to the teams that will be participating. The best from the American League (AL) and National League (NL) will battle in the postseason to see who is the World Series Champion and who gets the prestigious honor of hoisting the Commissioner’s Trophy. The MLB postseason is held after all 162 regular season games are played. The playoffs start with a one-game wildcard playoff between two wildcard teams, two best-of-five Division Series (LDS) featuring the wildcard winner and the winner of each division, and finally the best of seven League Championship Series (LCS). The winners of the American League Championship Series (ALCS) and the National League Championship Series (NLCS) play each other in the best of seven World Series. The postseason began when it was originated in 1903. The playoffs are very intense and heated due to how complex baseball rulings can get. The defending World Series champs, the Houston Astros, clinched the AL West this season with their firepower lineup. They have former Most Valuable Player (MVP) Jose Altuve. The Astros are the top team of Texas with a record of 100-58, being one of few teams with 100 wins. 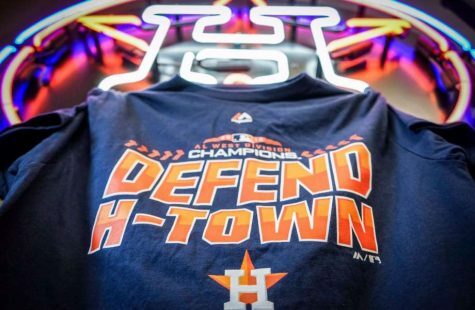 The Houston Astros official team gear after clinching the AL West. 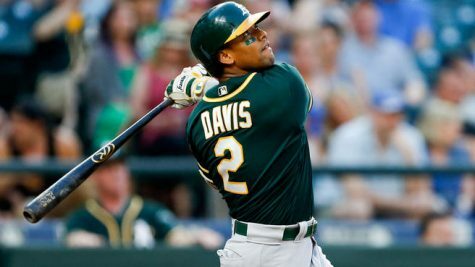 Home run hitter Khris Davis has had a hot bat this year and led the Oakland Athletics to one of their best regular seasons in recent years with a record of 96-63 and play the Los Angeles Angels in their next game. Khris Davis looks on as he hits the ball. The historic Boston Red Sox has had superstar presence with the likes of Mookie Betts, J.D. Martinez and Chris Sale and are statistically the best team in baseball with Mookie Betts joining the 30 for 30 club (30 home runs and 30 stolen bases). Their first game is to be determined. Red Sox exchanging high fives as they celebrate 106 wins. There are many different ways these playoffs could shape out with hot competition coming from both sides. 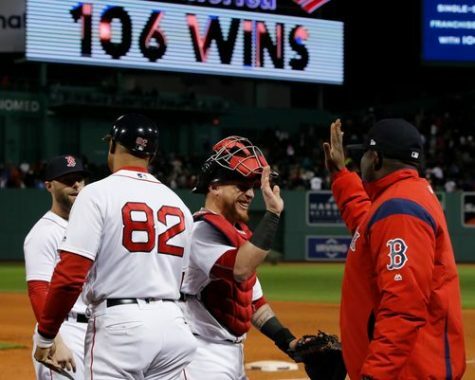 Overall, the Boston Red Sox have what it takes to go all the way: a winning history having been to this stage before, a very prestigious franchise that has had legends like Ted Williams, Cy Young, David Ortiz, etc., and 8 World Series wins since their establishment. The Red Sox have a lot of leadership with seasoned veterans like Dustin Pedroia, David Price, and J.D. Martinez, but still, they have young talent like Andrew Benintendi and MVP candidate Mookie Betts to reinvigorate the team.